Silhouette art is perhaps one of the most underused imagery when it comes to presentations, blog posts and other types of professional projects outside the realm of arts and entertainment. Silhouettes can be a powerful way of visually conveying a message to an audience and also to create diagrams, illustrations, comic strips, etc. We have compiled some of the best sources from which you can download silhouette art for personal and commercial projects. 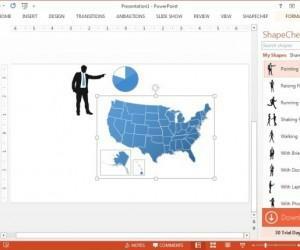 While it might not seem all that humble for us to start this list by referring to our own silhouette art, however after seeing the quality of our content you might find our free Silhouette Art PowerPoint Templates worth downloading. 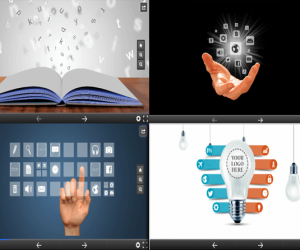 You can download silhouette art by Slide Hunter via the link below and use it for presentations, personal or commercial projects without worrying about usage restrictions. 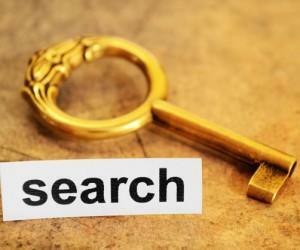 However, as is the case with third-party content available online, you are not allowed to redistribute or claim ownership of content provided by Slide Hunter. 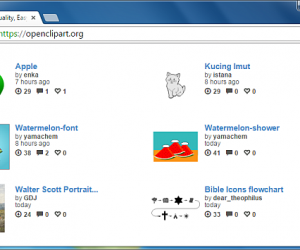 OpenClipart provides an endless library of free clipart which can be downloaded in various image formats, including vector formats. 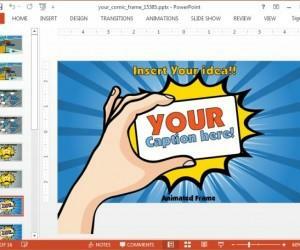 You can also edit the clipart directly from OpenClipart using their image editor, as well as pick a custom resolution for downloading the images. You can use the given clipart for both personal and commercial purposes. 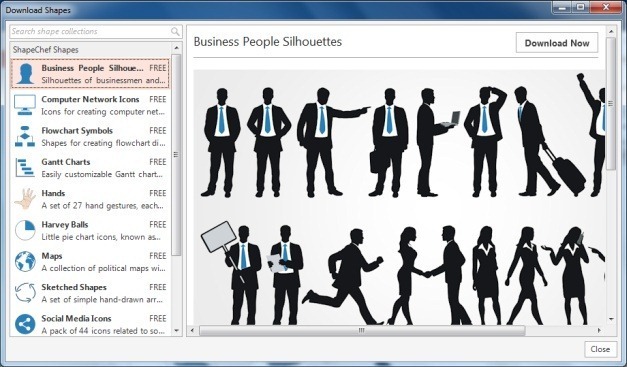 OpenClipart has a vast variety of silhouettes for which we have provided a filtered link below for the Silhouette tag at OpenClipart. 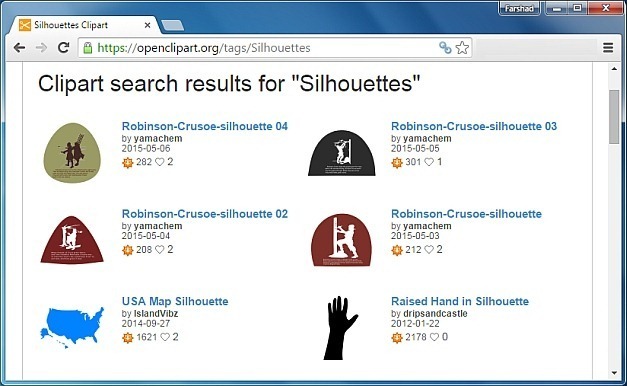 Like OpenClipart, you can download silhouette art at WPClipart and use it for personal and commercial use. 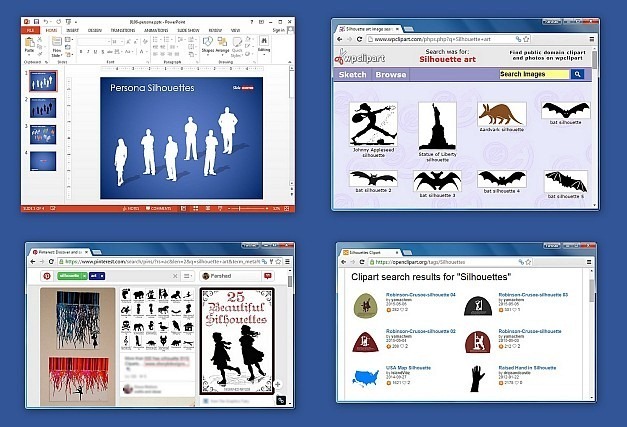 The clipart at WPClipart is also free and editable using their online editor. 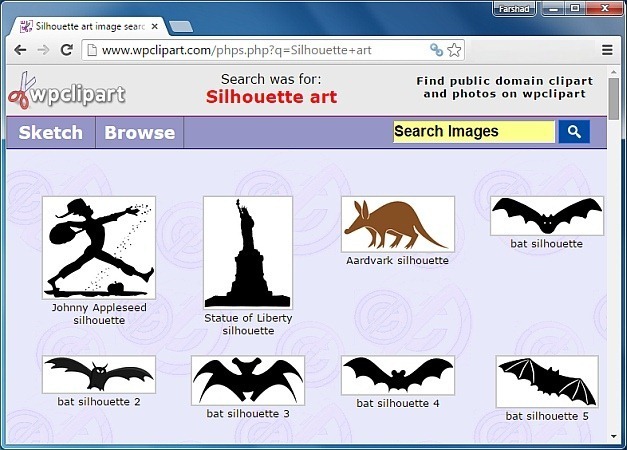 While we have singled out a link to display silhouettes from WPClipart, you can also search for keywords to find a relevant silhouette. 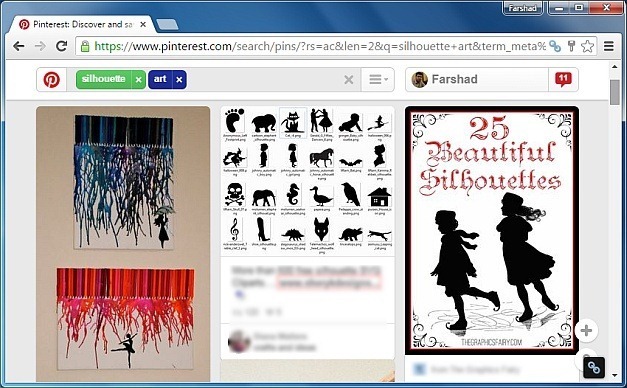 When looking for silhouette art you might find Pinterest to be a surprisingly good source. The only thing that you might find a bit tricky is to determine the usage rights for images available on Pinterest. 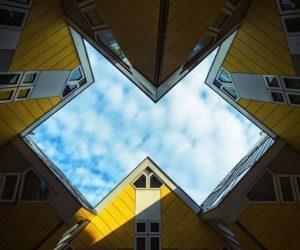 In fact, you might require performing a reverse image look up to find the image source and to determine if the image you picked can be used for your project without attribution. Unlike the sources mentioned above, ShapeChef isn’t free. 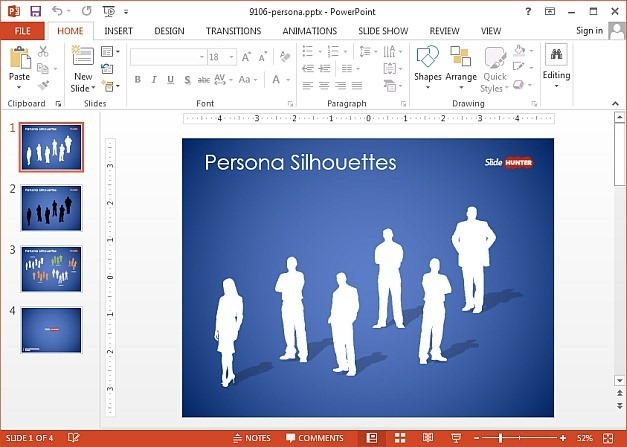 This is a premium PowerPoint add-in that you can also download on a 30-day trial basis. ShapeChef has some amazing silhouettes. The good thing about ShapeChef is that it provides a comprehensive library for clipart and illustrations which can be customized according to your needs. You can find out all about this add-in from our review of ShapeChef.